Island hop and sail the Bay of Naples in the Tyrrhenian Sea from our new base to explore the wonder of Italy’s Pontine Islands, Phlegraean Islands, Capri and the Amalfi coast.The largest city in southern Italy, Naples has one of the world’s largest historic centers and is famous for its UNESCO World Heritage status. With a Mediterranean climate and warm waters between May and October, it’s also a prime spot to sail the Amalfi coast, Capri and the many outstanding nearby islands. 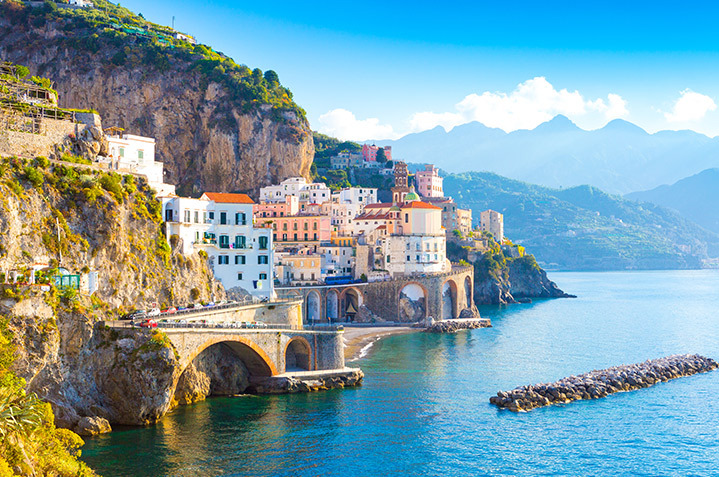 From Sorrento to Positano and Ischia to Ponza, this historic coast and archipelagos will enthrall and entertain your crew with nature reserves, delicious Italian food and traces of ancient civilizations. 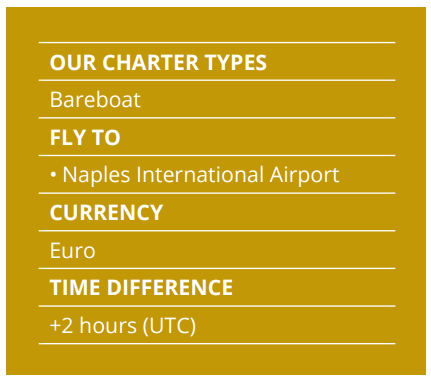 We have a large fleet of catamarans and monohulls in Naples to suit any sailor, whether you’re looking for a bareboat, by the cabin or crewed yacht charter. 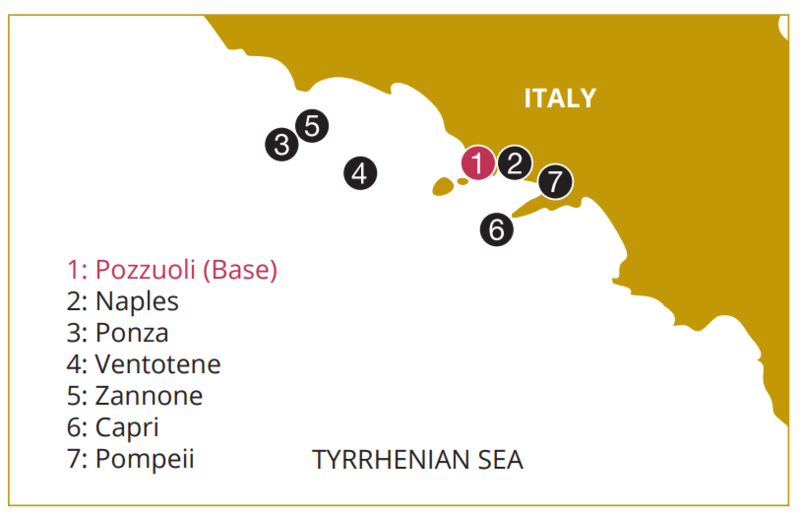 Our new base is in Pozzuoli, which has a charming ambience and mountainous backdrop. 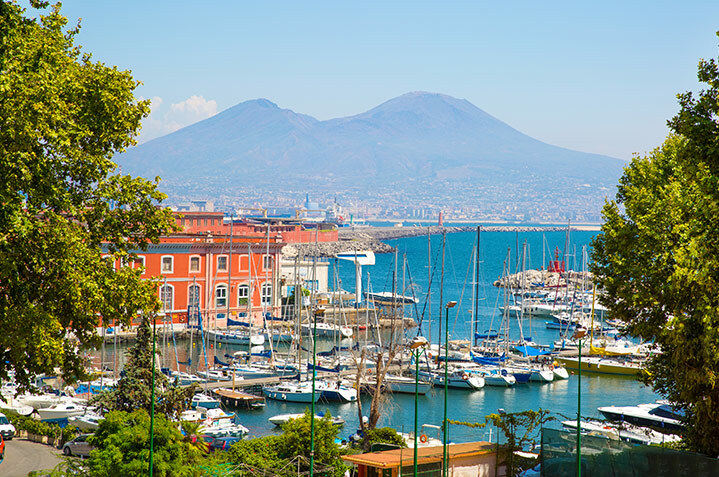 From here you have the perfect platform to explore the city of Naples and its Italian atmosphere along the old town’s Spaccanapoli, the famous long street that divides the city. 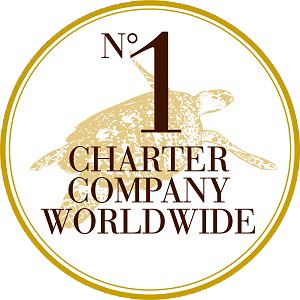 If you need help planning your charter, check out our inspirational itineraries section. Get in touch with our team to find out more.